The final games in Group C of the AFC Asia Cup 2019 get underway from the 16th of January 2019. South Korea and China have asserted their dominance in the group by qualifying to the knockouts before they confront each other in their final group game. Below are the possible scenarios and outcomes of the group. Scenario 1 - If Korea and Philippines win? South Korea will end up in pole position in Group C confirming their status as favorites to clinch the title. China will end the group stages in the second spot. The Philippines would record their initial victory at the Asia Cup on their debut and will increase their chances for qualification as the best third-placed team. Kyrgyzstan will exit the competition suffering defeats in all their group games and will look ahead to prepare for the 2023 Asia Cup qualifiers. Scenario 2 - If both the games end in a stalemate? China would relish an outcome of a draw which would thrust them to the top ahead of Korea on goal difference. 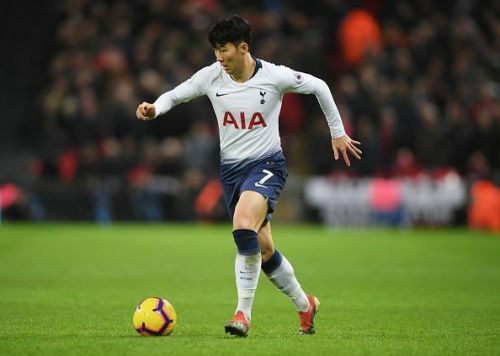 South Korea will fancy themselves against any opponents in the knockouts with the return of Son Heung-min. Both the debutants in Group C will find themselves with a point each and may struggle to make it to the last sixteen. Scenario 3 - If China and Kyrgyzstan win? If China can pull off a victory against the Koreans, it gives their squad a massive boost ahead of their knockout matches topping group C.
South Korea will have to settle for the second spot while Kyrgyzstan will raise their hopes of qualification with three points in their bag. Debutants Philippines would wind up their campaign without a victory and would hope to qualify for the 2023 Asia Cup. Scenario 4 - If South Korea win and Kyrgyzstan and Philippines play out a draw? Both the debutants would end up with a solitary point with Kyrgyzstan above the South East Asian nation on goal difference. However, their qualification hopes would extinguish if either of the teams settles for a draw. Scenario 5 - If Korea and Kyrgyzstan win? Korea would qualify for the last sixteen at the helm of group C while China will qualify as runners-up. Kyrgyzstan’s debut at the Asia Cup would receive a tremendous boost after registering their first victory and would raise hopes of qualifying for the knockouts. The Philippines would become the third team to exit the competition. Scenario 6 - If Korea and China settle for a draw and Philippines wins? China with a superior goal difference of +4 would be happy to draw their game against the Red Devils as it would uplift them to the top of the table. South Korea will face-off against Thailand in their quest for a quarter-finals spot. The Philippines would have recorded their first victory of the Championships and would wait for the completion of the remaining games to recognize their status to qualify into the knockouts. Kyrgyzstan would wind up their campaign on a disappointing note. Scenario 7 - If Korea and China settle for a draw and Kyrgyzstan wins? The Dragons will top group C on superior goal difference if they settle for a draw against Korea. Kyrgyzstan would wind up with three points which will place them with a chance of qualifying for the knockouts. The Philippines campaign would conclude without a single point from their three group games. Scenario 8 - If China and Philippines win? Italian coach Marcello Lippi would feel pleased with his ward‘s efforts after China register three victories from their three group matches. South Korea will wind up in the second spot with their lone loss coming against China. The Street Dogs would still be in the fray to contest it out with the other teams to secure one of the four spots available for the best third-placed team in the competition. Kyrgyzstan will return home empty-handed without a point to their name. Scenario 9 - If China wins and Kyrgyzstan and Philippines draw their group game? China would occupy the first spot in group C followed by South Korea in second place. The Philippines and the White Falcons would end with just one point each. It possibly represents an exit from the 2019 AFC Asia Cup as both teams would look ahead to prepare for the 2023 AFC Qualifiers. It presents the Dragons with a golden opportunity to top the group if they either post a victory against Korea or at least hold on to a draw. If they lose, they will qualify as the second team in group C.
The Red Devils can only top the group if they win their final group match against China. If it ends in a draw or a loss, they will finish in the second position. The Street Dogs only hopes of vying for a qualifying berth as the third best team would happen if they register a victory in their last match. The White Falcons also head into the game needing a victory over the Philippines team to help them qualify as one of the four best-placed teams in the competition. 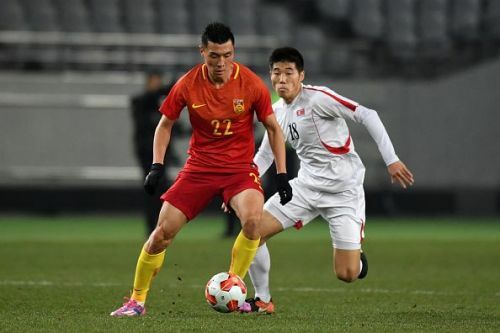 Wednesday, 16 January 2019: China (76) vs South Korea (53) - Al Nahyan Stadium, Abu Dhabi at 19:00 IST. Wednesday, 16 January 2019: Kyrgyzstan (91) vs Philippines (116) - Maktoum Bin Rashid Al Maktoum Stadium, Dubai at 19:00 IST.